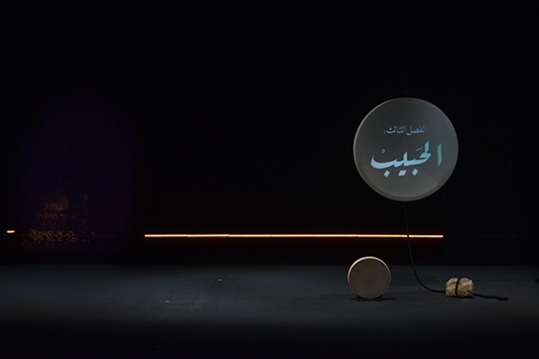 Fatmeh is a dance performance that runs through the history of Fatmehs plagued by separation and mourning. 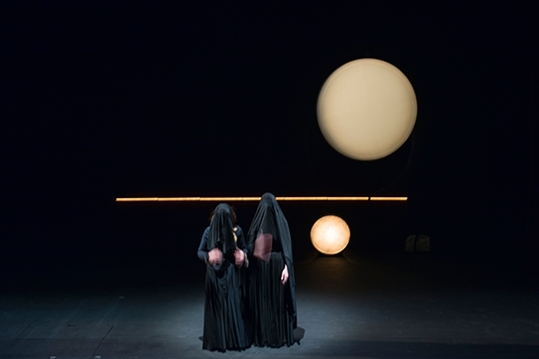 The work stems out of the intimate and private to inquire into the relationship between the body and religion, society and cultural legacy and norms. 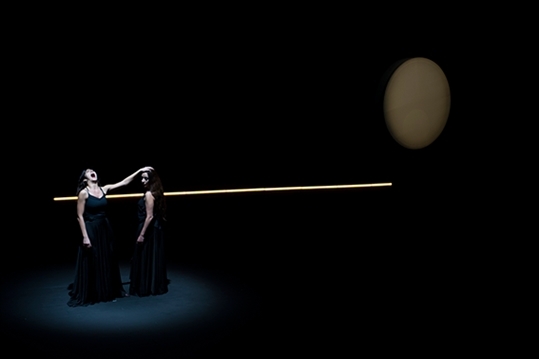 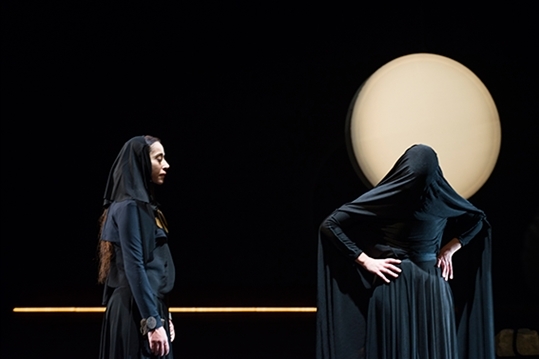 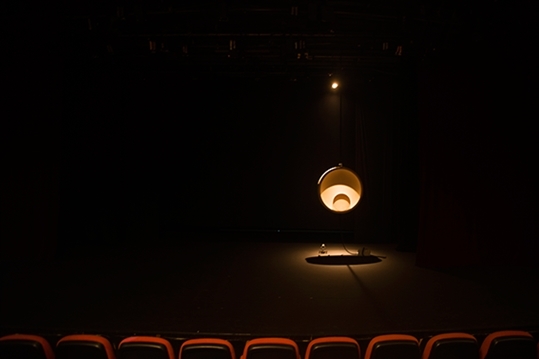 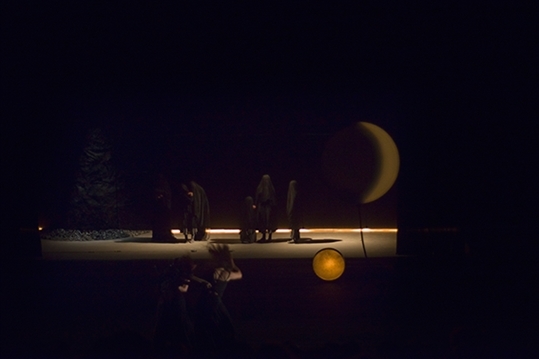 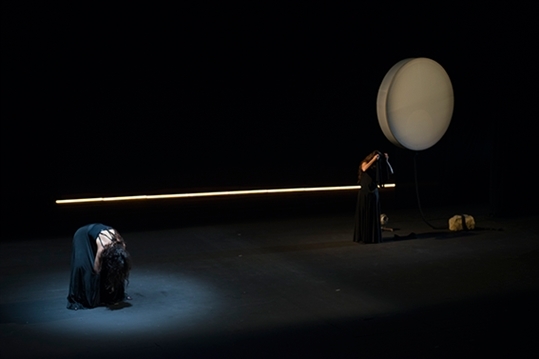 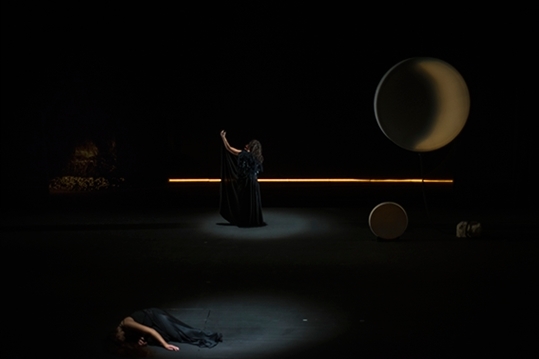 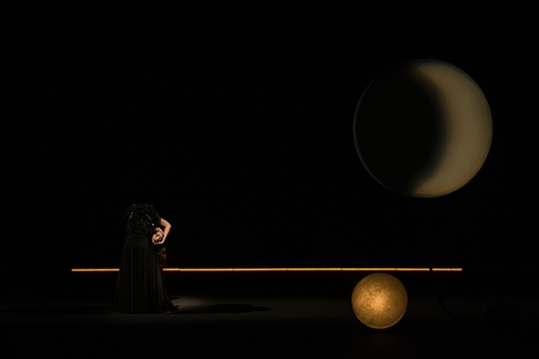 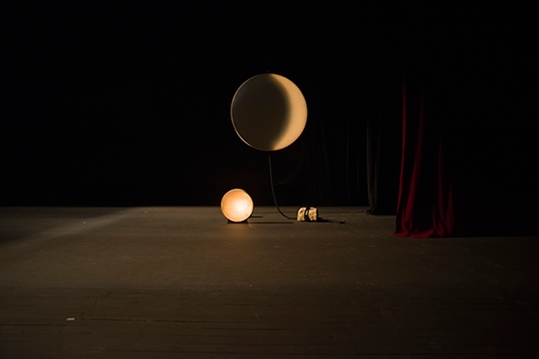 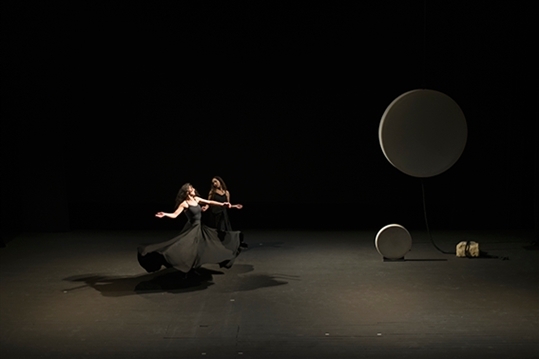 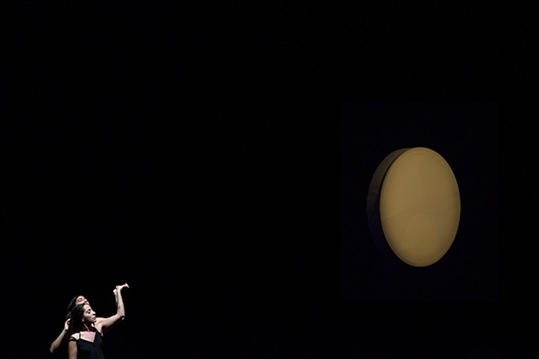 The scenography places the two performers in an environment that borrows from the ritual imagery its solemnity and the essential and sensual bareness of the landscapes. 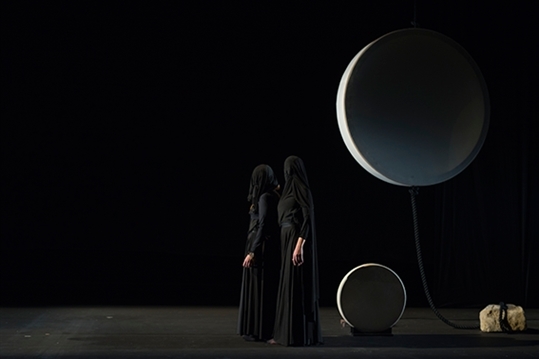 It juxtaposes the mystic and the mundane, the veiled and the disclosed through three elements, a suspended moon, a large black veil and a mountain of charcoal.